Chatsworth House has been handed down through 16 generations of the Cavendish family and is home to the current Duke and Duchess of Devon. Rich in history there is something for everyone, from waterworks and sculptures to the Victorian rock gardens and mazes. The 105-acre garden is well worth the visit. 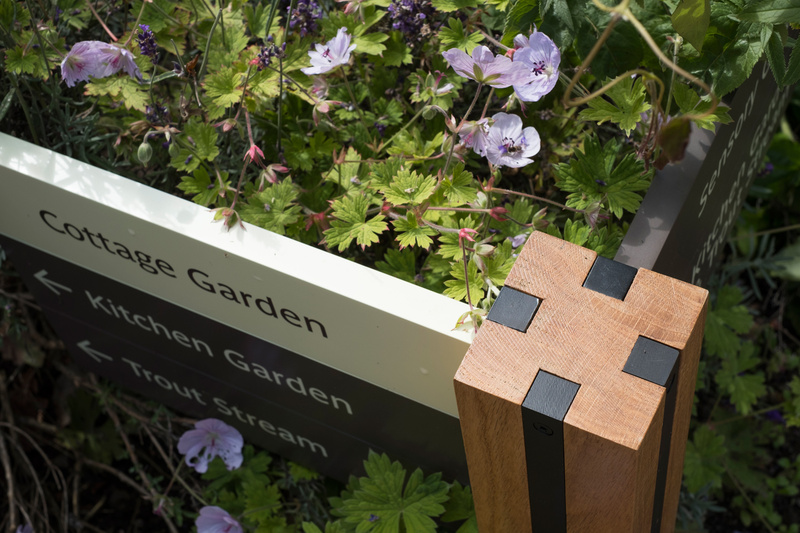 ABG design was approached by Chatsworth house to improve the signage and orientation points throughout the grounds. 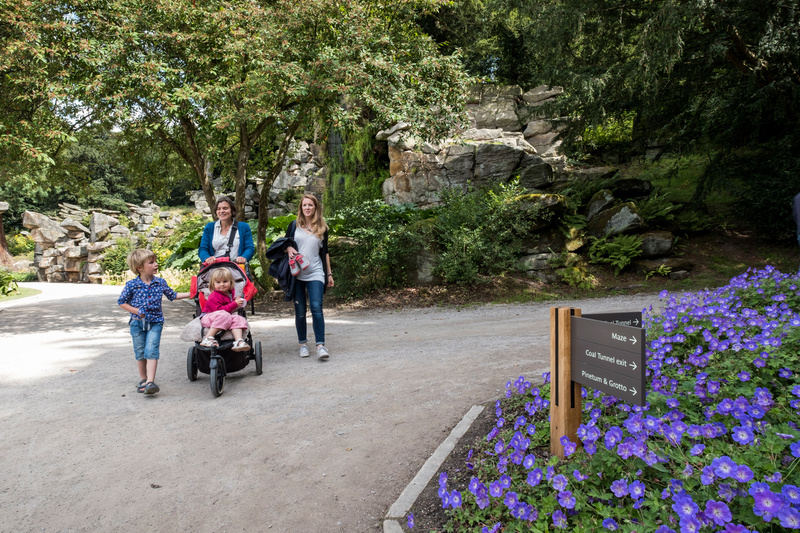 The aim was to improve the visitor journey throughout the gardens. 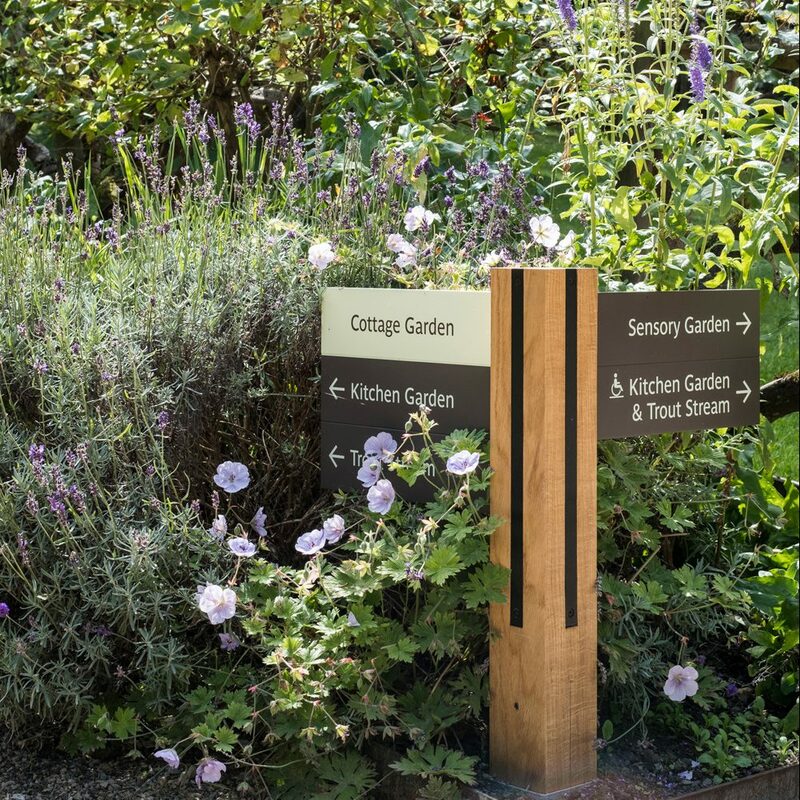 We developed a simple, modular functional signage design that sits clearly and calmly within Chatsworth’s beautiful surroundings. Created from oak posts and resin panels with clear messaging in a contemporary style that doesn’t contend with the historical backdrop. Our sign design provided a consistent style throughout the grounds, at a low level to lessen the visual impact on the surrounding settings.